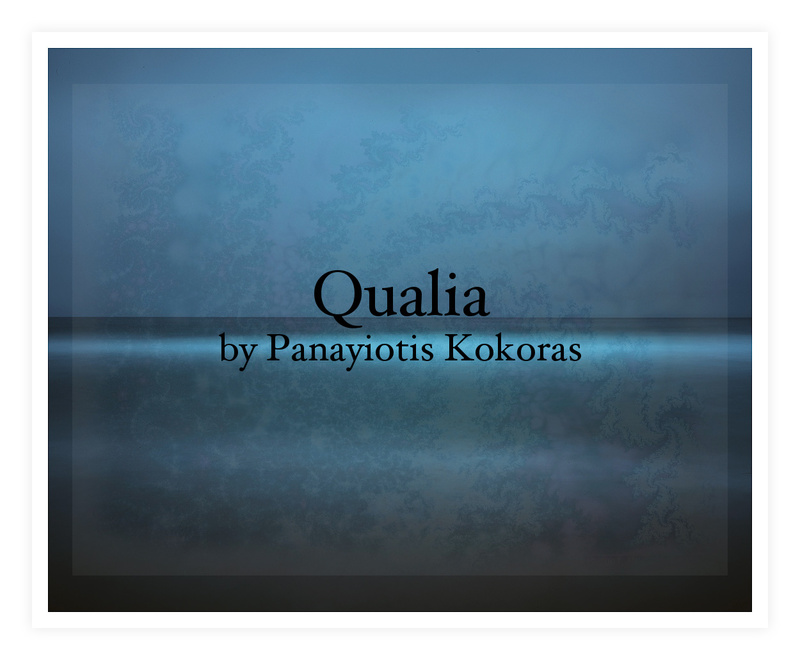 Qualia has been composed in the CEMI studios – Center for Experimental Music and Intermedia at the University of North Texas during 2017. The composition explores the experience of music from perception to sensation; the physical process during which our sensory organs – those involved with sound, tactility, and vision in particular – respond to musically organized sound stimuli. Through this deep connection, sound, space, and audience are all engaged in a multidimensional experience. The motion and the meaning inherited in the sounds are not disconnected from the sounds and are not the reason of the sounds but are in fact the sound altogether. Energy, movement, and timbre become one; sound source identification, cause guessing, sound energies, gesture decoding, and extra-musical connotations are not independent of the sound but vital internal components of it. Qualia are claimed to be individual instances of subjective, conscious experience. The way it feels to have mental states such as hearing frequencies at the lower threshold of human hearing or a piercing sound, hearing a Bb note from a ship horn, as well as the granularity of a recorded sound. It is an exploration of time and space, internal and universal. In Qualia, I do not experience musical memory as a sequence of instances but as a sensory block that lasts the entire duration of the piece. The experience of sound itself is not sequential, it bypasses past or future, time becomes an omnipresent wholeness, a single unity. In this state of consciousness, time dissolves. The vibrating air molecules from the speakers, the reflections in the physical space, and the audience are the sound.